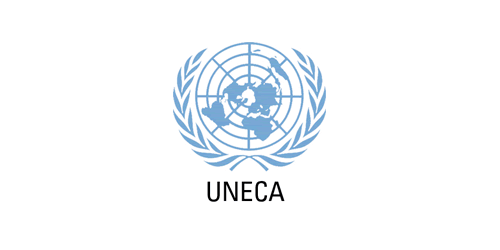 The United Nations Economic Commission for Africa (ECA) was established in 1958 as one of the UN’s five regional commissions. The ECA’s mandate is to promote the economic and social development of its 54 member States, foster regional and international cooperation for Africa’s development, including road safety. ECA undertakes a range of initiatives to coordinate road safety action within the Africa region, under the African Road Safety Action Plan. 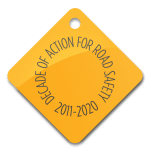 These include driving out action to meet the UN Decade on Road Safety targets, steering States to implement recommendations related to road safety, data collection, education and awareness raising, policy harmonization, and partnership and collaboration. ECA brings together member States in a number of forums, including this year’s Third African Road Safety Conference to address rural road safety, national road safety targets, and actions to ensure the enforcement of road safety legislation related to speed control, drink-driving, and use of helmets. Preliminary findings of the ECA study indicate that progress has been uneven across member States as well as across the different intervention areas. For instance, member States are doing relatively well in the establishment of lead Road Safety Agencies, with 57% of them having done so. Similarly, 50% of member States have set realistic and attainable road safety targets while 79% indicate that they have established self-standing road safety financing mechanisms. However, more than 50% of the surveyed countries have done nothing at all or significant with regard to: creating knowledge management portals on road safety issues; allocating at least 10% of road infrastructure investment funds to road safety, and enforcing mandatory reporting on road safety.